This is also the easiest way - which is part of the reason why it's my favorite. Even if it wasn't for some reason the easiest is happens to be the most delicious. The potatoes come out perfect, creamy, and just flat out delicious. AND... the skins on these sweet potatoes were delicate and tender enough for me to eat. Usually I totally avoid skins of sweet potatoes (or yams! Whatever ya call em!) but these rocked. I think that it was a 2 part thing. #1. They are cooked in the crock-pot so they don't dry out at all. #2. I bought smaller sweet potatoes instead of the gigantic ones that I see around the stores. I have a feeling that the skin is much thinner when they are smaller. I've been munching on these today and loving it. My daughter also LOVES them. They are so sweet I can't imagine kids hating them but, again, I've got an awesome eater so I have no idea to tell the truth. Line your crockpot with parchment paper. I just tear off a sheet, cram it in there and let it fold up around the edges. Why do this? So you don't have to clean off sticky sweet potato juice, that's why. 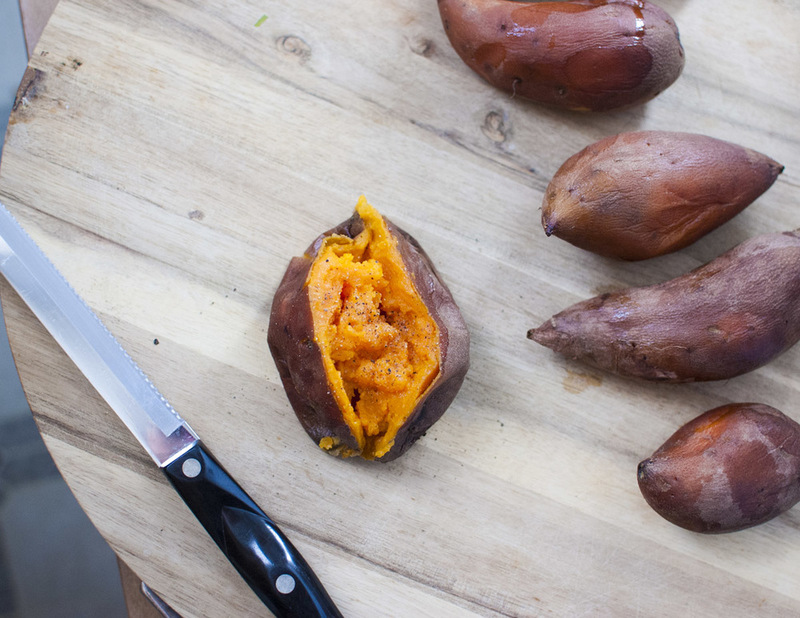 Wash a bunch of sweet potatoes and poke them with a fork. Put them in the slow cooker. Cook on high for about 3-4 hours or on low for 6-7 hours. Eat. Let the leftovers cool and store in the fridge. Eat some more later. 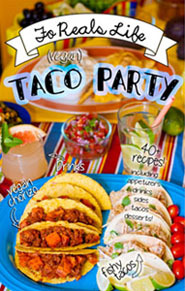 They're awesome with cinnamon, with salsa, pureed in a soup, in burritos, in enchiladas, with oatmeal, on a boat (I'm sure they're good on a boat.) Just don't cover them with cutesy marshmallows and butter. That's gross. These are amazing (and crazy sweet!) just the way they are.